Spain is one of Europe’s most popular tourist stops, and not without a reason. Spain is very rich in both natural and man-made beauty. Spain is more accessible than ever – today there are many good options and offers for both agency-guided and self-planned tours. And with last-minute flights from Dublin to Spain readily available, you can even have the luxury of deciding at the last moment. 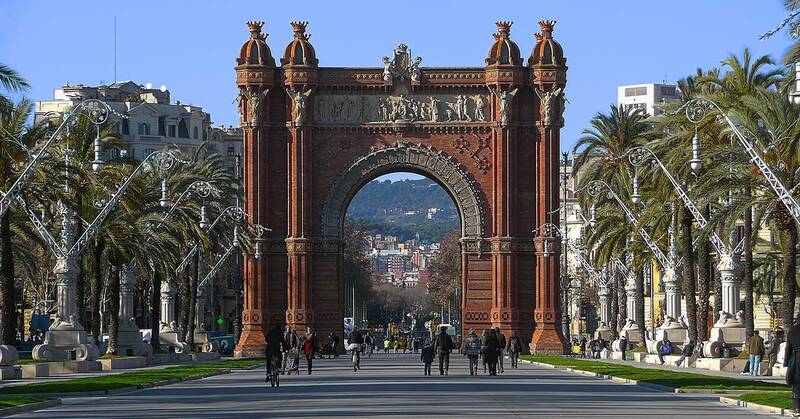 The following are our top destinations in Spain for any traveler. Whether your passion is art and architecture or you want to spend your day on some of the best beaches in the world, Spain has something for everyone. Administratively speaking, Barcelona is the capital of Catalonia. Culturally speaking, Catalonia is probably Spain’s capital of arts and architecture. In Barcelona, you’ll be able to feast your eyes upon magnificent Gaudi buildings, with the Sagrada Família being the most stunning and most famous; you’ll be able to visit Picasso’s and Miró’s museums featuring some of their most significant work; also, there are several Roman archaeological sites if you wish to dig even deeper into the past. But Barcelona is far from stuck in the past. Besides treasuring its cultural traditions, Barcelona is a very open, liberal and modern city, with lively cafes and nightlife. It is also one of Europe’s primary street art destinations. It is a city of many colors which are sure to dazzle you. 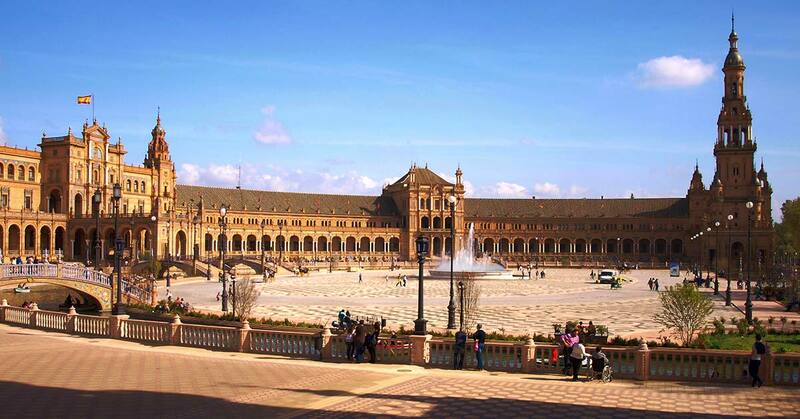 The fourth largest city in Spain and the capital of southern Spain’s Andalusia region, Seville is famous for its orange blossom scented atmosphere, monumental buildings, fountains, and flamenco. This city alone has three UNESCO World Heritage sites – the tomb of Christopher Columbus himself in the Santa Maria de la Sede Cathedral, the impressive Reales Alcázares palace, and the General Archive of the Indies. 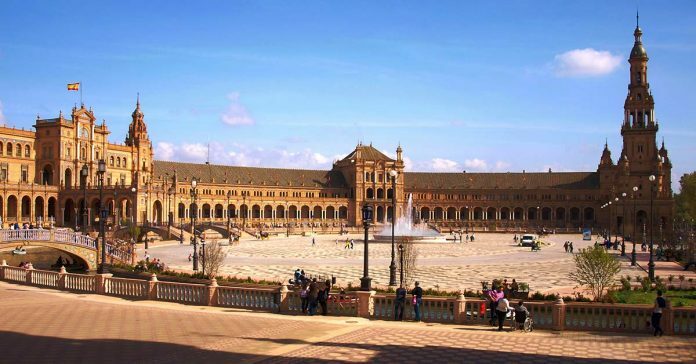 Other major attractions include the elegant Moorish-style Alcázar castle complex and the 18th-century Plaza de Toros de la Maestranza. Seville has a rather lively side to it too. It’s famous for flamenco dancing, especially in a neighborhood called Triana. This is a city with a lively social buzz. It also offers a nice variety of opportunities for outdoor eating and drinking, including a cool local beer, Cruzcampo, and also some acclaimed local fiestas and celebrations, depending on your time of arrival. 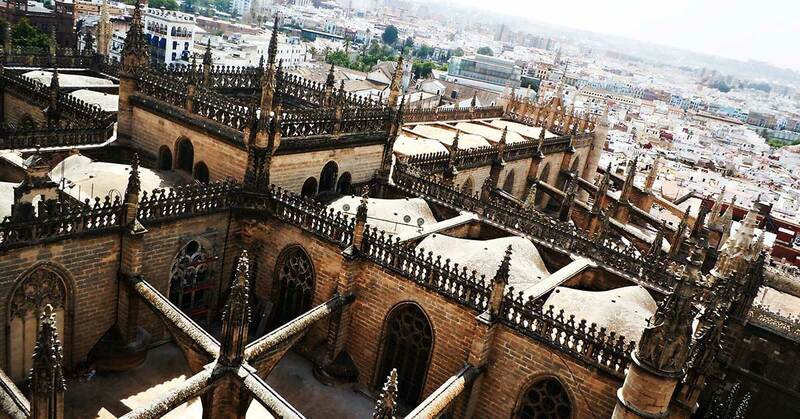 Most of the sites we’ve covered so far in Seville and Barcelona are many centuries old. A former industrial town on Spain’s northern coast – Bilbao, Spain – offers something different. It’s most famous site is the attractive modern Guggenheim Museum. 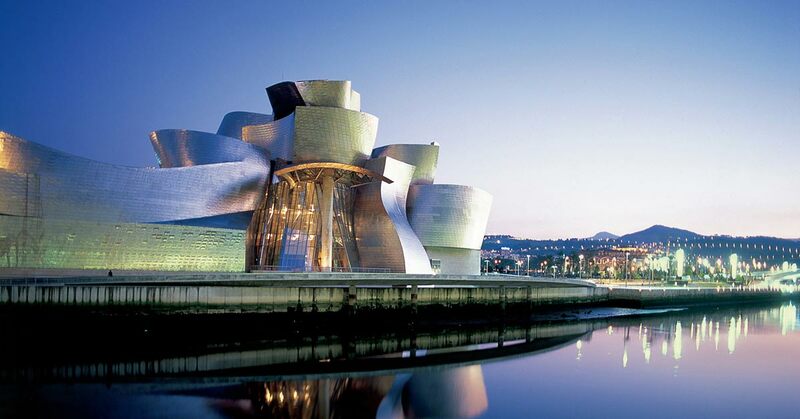 This impressive curved, titanium wonder designed by Frank Gehry has been declared one of the most important architectural works of its time. And that’s just the outside of it – the museum contains an impressive collection of modern art. This architectural hotspot also boasts amazing metro and airport structures. When you look at the whole picture, Bilbao is a very artsy and laid-back city. When you get hungry, make sure to try local specialty appetizers called pintxos, and also at least one of the amazing local cod recipes. The beaches of Spain deserve a separate article, but that’s exactly why we can’t miss mentioning at least one of them here. 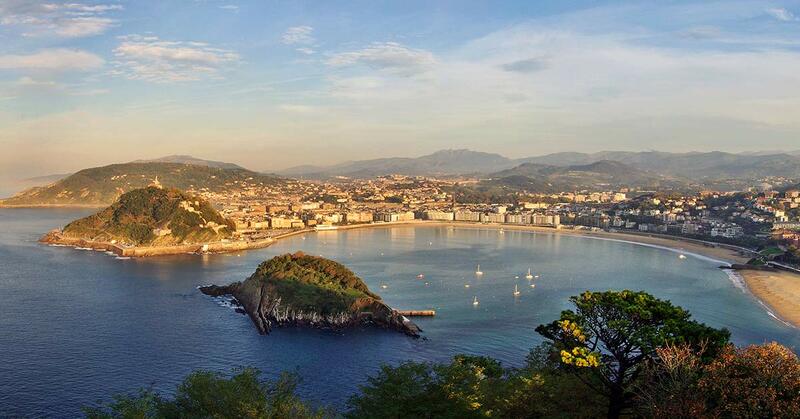 The beaches of San Sebastian, Spain are pretty as a picture. They’re all you would want from the coastline – sandy, sunny, warm, and facing the beautiful sea. But San Sebastian is much more than a beach resort. It’s one of Europe’s main surfing hotspots, it offers great food and a lively nightlife. San Sebastian has become one of the most popular destinations for backpackers, so if you’re into this kind of travel, be confident that the general atmosphere will suit you, and that you’ll be offered a good choice of hostels. And pintxos are delicious here too! 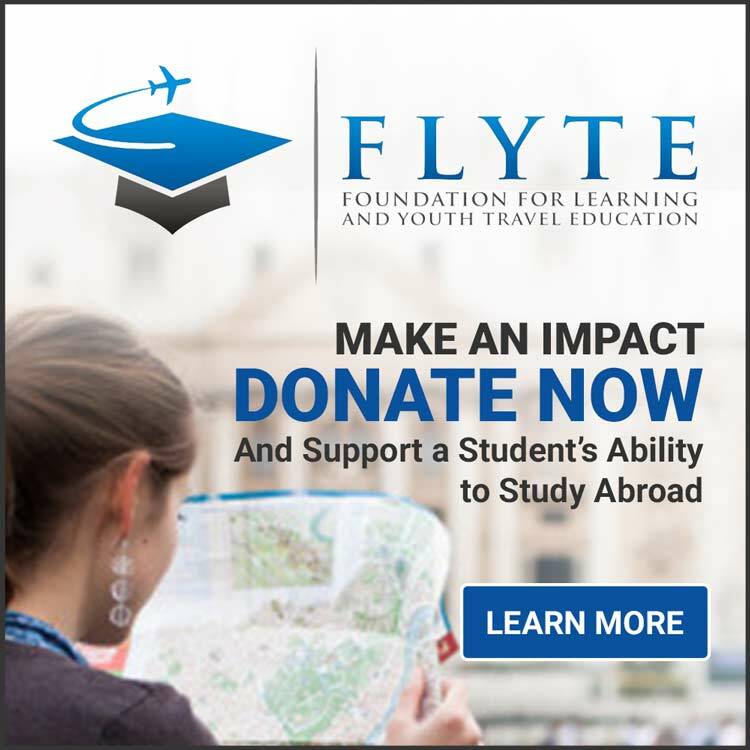 Rebecca is a freelance translator passionate about her work, and grateful for the travels it has taken her on. She has recently started writing about some of her experiences at RoughDraft.